The Utes have been known for their size and toughness, and now they have speed. Northern Illinois is impressed. In recruiting, ‘You can’t compromise on speed,’ Kyle Whittingham says. Kyle Whittingham probably would be insulted if an opposing coach failed to use “physical” in describing his Utah football team. That's the element the Utes have sought in this decade, ever since Pac-12 membership required an upgrade in talent. Utah moved to the Power Five level of college football with interior linemen who could match up well with other teams, but lacked speed on the perimeter and throughout the defense. 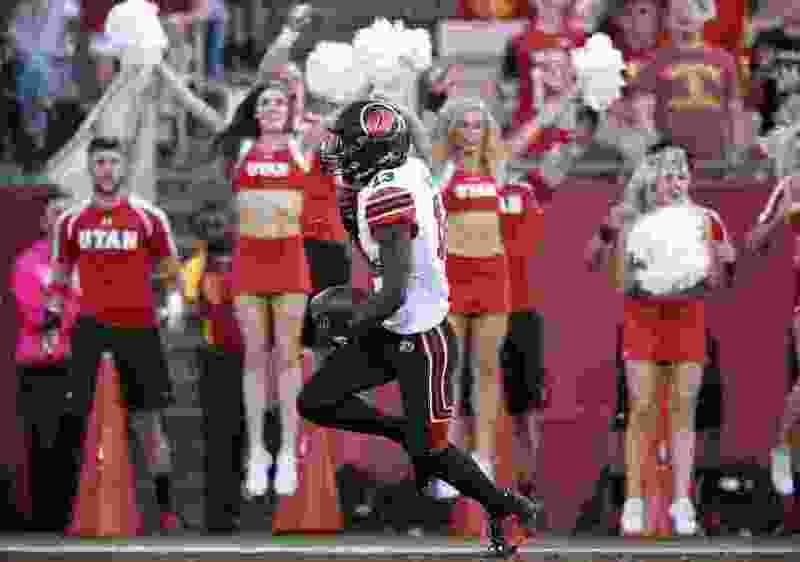 The Utes are much faster now, and that's the biggest difference between them and a Group of Five program such as Northern Illinois, their opponent Saturday at Huskie Stadium in DeKalb, Ill. The Pac-12 branding has enabled the Ute coaches to recruit better all-around athletes, partly explaining their increased speed. They're also consciously looking for that dimension. Not all of the Utes run like defensive back Javelin Guidry, a high school 100-meters champion in two states, Texas and California. Yet especially on defense, they are noticeably fast. The secondary is known for its speed, and so are linebackers Chase Hansen and Cody Barton and ends Bradlee Anae and Mika Tafua. The Utes got faster by moving Hansen from safety to linebacker. And he feels relatively quicker this season, not only because he's playing a position that traditionally required more size and less speed. “The hardest part about safety is a lot of times transitioning from a backpedal,” Hansen said. And that's how the Utes held Weber State to 59 total yards in a season-opening, 41-10 victory. Utah made 12 tackles for loss, mostly on running plays, and allowed only five pass completions for 13 yards, thanks to the closing speed of safety Marquise Blair and other defensive backs. Utah's quality of opponent rises considerably this week, even though Northern Illinois is a Group of Five team. The Huskies regularly meet and occasionally defeat Power Five teams, especially in the Big Ten. NIU lost 33-7 at Iowa last week, but trailed only 3-0 midway through the third quarter. The Utes' nonconference schedule is accelerated this season, with the BYU game moved to November. Next week, they'll host No. 9 Washington in a Pac-12 opener. The key questions for Saturday are how the Utes will respond to playing in a downsized atmosphere in a Mid-American Conference venue with 23,595 seats and how their offensive linemen receivers will perform in producing a more consistent offensive showing. NIU's atmosphere won't fit that description, based on volume. Huskie Stadium will be the smallest stage the Utes have played on in 40 years, and it won't be filled. So it is largely up to them to generate enthusiasm. At Huskie Stadium, DeKalb, Ill.
Kickoff • 5:30 p.m. MDT. Records • Utah 1-0; NIU 0-1. Series history • First meeting. About the Utes • Seven true freshmen played in a 41-10 win over Weber State: DB Malone Mataele, WR Solomon Enis, RB Devin Brumfield, LS Maddie Golden, OL Braeden Daniels, TE Brant Kuithe and TE Cole Fotheringham. … Having allowed 59 yards to Weber State, Utah ranks first nationally in total defense. The Wildcats' longest play covered 10 yards. … Utah has never faced a Mid-American Conference team. About the Huskies • NIU has faced only one Pac-12 team, losing 67-28 at Oregon State in 1996. … The Huskies opened the 2017 season with a 23-20 home loss to Boston College of the Atlantic Coast Conference. … WR Jauan Wesley blocked a punt and caught a touchdown pass last week at Iowa, the second such performance of his career. … Coach Rod Carey is 44-25 in his sixth season.